So, today there is no Sunday AM Round Up, I am getting over a mega cold/flu/allergy mess and could not bring myself to round anything up because I’ve been sleeping since Thursday. Seriously. 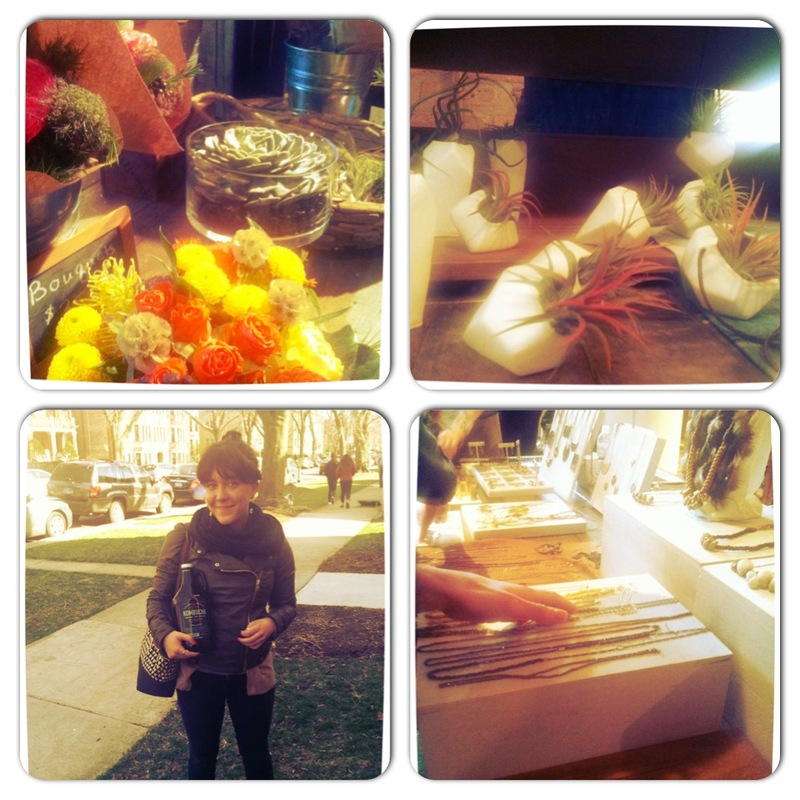 Today though I finally felt less like death and good enough to go to Dose Market in Chicago, IL. This was my first major outing in three days. Anyway, despite my complete congestion and runny nose I picked up perfume from Hidden Folk, I was wavering between Lavender v. Patchouli, the lavender won out– though I’ll have to get back to you with a review because I honestly can’t smell it. But I think eventually I’ll have to get the patchouli one because I do love a good patch smell! Also, the lovely lady behind Milkhaus Design was there which was wonderful. I love love her stuff. I was really on the fence about adding another clutch to my life, but since seeing them in person, I can’t stop thinking about snagging one. Clearly on my must have list. On our way out we picked up some amazing locally made Kombucha, it tastes super light and refreshing without that burning after taste I think most Kombucha’s have and I love that its local. The next Dose Market is May 12 from 10-4pm. Go and go hungry! It was a super great way to spend a Sunday afternoon and to reenter the world after the flu. Sounds great and I’m glad you’re feeling better! Thanks it was a terrible few days but on the upside/ brightside I was so sick that I quit smoking! So I’m pretty happy despite the lingering congestion….